Posted July 24th, 2012 by David Porter & filed under MailBigFile, Social. One of the most bizarre cases of illegal use, theft and manipulation of data took on a new twist when Norfolk Police closed their investigations (Operation Cabin) into data hacking at the University of East Anglia (UEA) as the scale was ‘too challenging’. To be fair, there is a legal time limit from when a crime of unauthorised access to computer material is committed to bringing criminal proceedings in data theft situations. This is under the Computer Misuse Act (1990). Det Chief Supt Julian Gregory told the Eastern Daily Press (19 July 2012) that despite ‘detailed and comprehensive enquiries’ by experts, the complex nature of the case gave little chance of prosecution of the offenders. Police ruled out, however, any leak coming from within the university, but conceded that the ‘international dimension of investigating the world wide web’ proved challengingly complicated. News broke on 19 November 2009, when emails, data files and data processing programs were leaked from the Climatic Research Unit (CRU) of the University of East Anglia in Norwich. They collectively revealed scientific fraud and data manipulation by scientists investigating the theories of global warming. The media soon applied the term ‘gate’ to the story, putting it in the same league as Watergate of the 1970s and subsequent scandals involving lies, deceit and cover up by somebody. The leaked information showed that the CRU had apparently blocked freedom-of-information requests, which supported the viewpoint that global warming was/is the giant hoax of our generation and false scientific evidence was compromised beyond recall. It then broadened out into fierce debate about scientific credibility generally with a generous lashing of conspiracy theory supported by some of the media channels. Global warming deniers or sceptics waded in and before long it was a major issue which did the UEA no good as it sought to ride the storms of funding, student fees and expansion of higher education. The whole affair was given added impetus with the climate change world conference in Copenhagen just weeks later. So it took on aspects of crime, deception, political and spending policies implications in an area that had previously built up an enviable reputation for environmental matters. The knock on effect reverberated through the climate research community around the world. It’s a statement of the obvious that research data on rainfall, atmosphere, temperatures, sun damage, pollution and crop endurance must have an unimpeachable integrity, so that scientists elsewhere than the source can check it, compare it and run it to support/contradict their own findings. If proof was found that changes were man-made and were threatening sustainable life, then the agenda for intergovernmental action has to be set for decades ahead. If the proof turns out to be false and/or merely alarmist, then chaos and confusion ensure a policy vacuum into which will leap all kinds of industrial and business practices which may do more harm. Falsifying data to obtain research funding is criminal fraud, which is why the police were called in. In the USA, there were similar doubts and investigations into data and the people responsible. When information was withheld under public information laws, then additional offences only compounded the mystery. Where scientists colluded across the globe, and it could be proved, then further crimes were committed. Whether it was using historical temperatures (paleoclimatologists) to reconstruct scenarios to show alarming changes; suppressing normal scientific peer review processes so dissenting voices are not heard; or ignoring data requests from outside, any of these techniques show how it becomes both possible and complex. With statistics things can be made to appear wholly true, completely untrue or carry trends that prove almost anything. Interpolation is a normal part of dealing with data sets. Computer models only aid the possibilities for deception, without undermining the accuracy and dedication of most scientists’ work. Without the raw data from the outset, it is devilishly hard to prove that things are not what they are seen as. And that is why the Norfolk Police have called it a day. The UEA vice-chancellor, Edward Acton, told BBC News that the ‘perpetrators were highly sophisticated and covered their tracks extremely carefully’. They also did ‘real harm’ to public perceptions of climate change, he admitted. Was this all the work of a clever, but UEA-disillusioned geek who wanted to discredit the unit, the university or individuals? 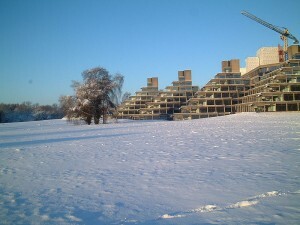 Was it the work of a rival institution, jealous of the reputation of the UEA? Was it simply the work of those who wanted to discredit global warming so comprehensively that it would lose funding and power? Is it the work of a serious conspiracist with an agenda that goes beyond the single issue of global warming and into a world we don’t yet realise? Suggestions please by secure transmission only.